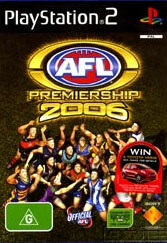 The AFL series for me has always been a tough one to review. As a fan of the game you are expecting so much from it and the first time it was released by IR Gurus it really looked as though it had hit the spot. Impulsegamer actually visited Acclaim (the publisher) and IR Gurus in Melbourne to play a “Gold” code version for the XBox and it was amazing, as a result I scored the game as amazing only to find the final released to the public code to be a damn sight less impressive than the code we played in house on an XBox debugger. So it was with trepidation and a fear of the past rising from the ashes to bite my arse again that I undertook reviewing this title for Sony. First things first, the graphics have improved slightly for the title with both players and stadiums being given a slight facelift. I must admit though that really it might be time to take a good look at some of the sports titles from America and the Electronic Arts group of titles and have a think about where we are going wrong. 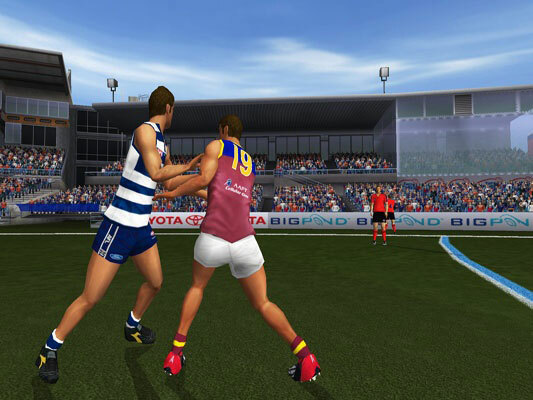 Why is it that the AFL games look graphically as though they are about a year to two years behind these other games? Possibly we need to team up IR Gurus with one of the EA development teams to produce something a bit more modern looking. Don’t get me wrong, the game does look better than it has but still is not up to speed with other sporting titles in the market. Just look at the screen shots and tell me that I am wrong. There is a fair bit of speed involved in the title and it would make for a great game if there wasn’t collision problems with the game and some hokey umpiring. The general feeling of playing footy is there but it doesn’t get all the way into your skin in the way that you would hope. 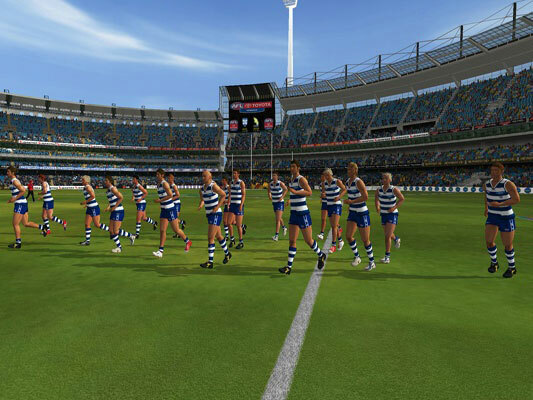 I think this game is best suited to those who just want to play footy as there is not really a tactical element to the game. If you can win the ruck and belt the ball down the ground you have got it made. It’s still fun, but I would like to be able to actual set up a defence and offence in the game to give the feeling of really battling it out on the field. The commentary has not really taken a giant leap forward in this version either and at times sounds disjointed. Crowd sounds are pretty good as are other sort of ingame sounds, so there is a feeling of general ambience there. All things said and done, this is a title that footy fanatics who just want to play the game are going to buy regardless of what I say. If you are a bit fussy though, you might want to rent this out before spending your dollars on it. It is fun, remember that, but might disappoint gamers with the lack of true innovation in this latest version.